In today’s powerful Suhbah, Mawlana asked thought provoking questions, each question being the foundation of guidance for humanity. Mawlana began by asking the first serious question, that he directed at all Muslim preachers, and leaders of the Christian and Jewish congregations. As Man heads towards the Mercy Oceans of Allah, who is it that stands in the way, seeking to prevent Man from attaining eternal bliss and felicity? Who is that determined, cruel and relentless enemy, who stands between us and safety? It is very important for us to be aware of this matter, so that we understand the answers to the questions that follow. That enemy is Shayṭān, our sworn foe, and the recitation of Bismillahi ‘r-Rahmani ‘r-Rahim is the Divine Sword; use it to behead and destroy Shayṭān and his helpers, when they stand in the way of your spiritual progress. The next sets of questions are as follows (again, it was directed at people of all religions): What is the greatest honor, the greatest rank that can be attained by a human being? What is the highest distinction, the highest title for the Children of Adam? What is the most valuable of human attainment? The Prophet (saw) answered these questions in a single Ḣadīth, so stunning a Ḣadīth that it captured the essence of the entire Prophetic teachings of the 124 000 Prophets that Allah had sent to Mankind. In it, is contained all that a human being must know about his journey, all that he must practice in his worldly life and all that he must strive to attain – all that is contained and sealed perfectly in the following Ḣadīth:The Prophet (saw) said, “I sit as a servant sits, and I eat as a servant eats.”Why did the Prophet (saw) say that? What does he mean to teach us in that Ḣadīth? The Prophet (saw) is teaching his entire Nation (Ummah), that everything he does, he does it as a servant of Allah. This is a lesson for all of Mankind! That was his life’s mission – the Prophet (saw) lived every moment of his entire worldly life, only seeking to attain and achieve servanthood towards his Lord Almighty. He showed us that he lived as Allah’s servant in every instance, and he is the example for all Mankind! From Sayyidinā Adam (as) to Sayyidinā Muhammad (saw), every Prophet was a devoted servant of Allah, and every Prophet called out to their Ummah to follow their example. “Oh our people, we are just servants of Allah, we call upon you, to be servants of your Lord too.” So that Ḣadīth summarized the entire Prophetic mission that every Prophet came to fulfill – the call to servanthood! As such, Mawlana advised us not to live under an imitated (fake) title, and not to delude people into thinking you are an important person by having various titles to your name, as you are merely cheating yourselves. So many people live in dunyā assume such lofty worldly titles and then delude others (and themselves) into believing that they have achieved honor. Such worldly titles are like fake jewels. Would anyone in his right mind exchange real jewels (servanthood) for fake ones (made-up worldly titles)? Just because you are wearing expensive clothing, or sitting in an important chair (e.g. CEO, President etc), you leave servanthood and strut around arrogantly? When death strikes, you are suddenly stripped of your clothing and seat, and it is only then that you see the fake nature of what you thought had brought you honor. By then it is too late, you can only regret in futility. So many people have left this Prophetic advice (of seeking only servanthood in dunyā), and have fallen into Shayṭān’s trap of seeking imitated worldly honor; hence the importance of knowing that Shayṭān is our arch-enemy, which is why Mawlana had asked the first question. So, in which part of the Old Testament, was it announced that God had a son? And in which part of the New Testament, did Jesus claim to be God’s Son? He never did; he too, proclaimed his servanthood (like all other Prophets) and invited his flock to be the same. Oh leaders, strive hard against Shayṭān, work tirelessly to save your followers, call out to them without fatigue or lethargy. You cannot call yourself a leader, if you do not care to save your followers! If you see them on the wrong road, advise them: Oh my people, the road that you are taking is one that leads you astray, it leads to the Fire. Every known suffering and hurt that Man suffers in this worldly life and in the hereafter, is brought about by the devil – by his advice, his lifestyle and his ideology – so shun him! Leaders must educate their flocks as to the terrible danger that lies in befriending Shayṭān and giving him a place in their lives. They must rally their followers with this call day and night, “Beware of the devil, beware of the devil!’ That is a Divine warning that must ring in every man’s ears, at every moment. Just as we take heed (and walk a little further away) when we see a house with a “Beware of dog” sign, we must have a “Beware of the devil” sign in our hearts and homes, at all times, so that we are always reminded to run from the merciless devil, into the arms of our merciful Lord. After all, Mawlana said, who is more dangerous, the dog or the devil? Oh leaders, do not waste time with petty quarrels and politicking! Fight Shayṭān, not one another. Human beings must be taught and shown that their vilest and deadliest enemy is Shayṭān. They must know the enemy, or else they will not run from him. Today’s humans, even learned ones, have forgotten this pertinent point, so they step out of the safe zone, and they are engulfed by the Fire that Shayṭān brings. So preach to your flocks day and night, “Oh believers, beware of Shayṭān, he is your true enemy!” Teach this to all human beings on the planet, to every child, woman and man. We may even want to put up Islamic calligraphic writings of A’ūdhubillāhi min ash-shayṭān ir-rajīm and Bismillāhi ‘r-Raḥmāni ‘r-Raḥīm in our homes, as a constant reminder of Shayṭān’s deadly threat. We must remain on the true path, and we must not lie to ourselves. How can we know if we are on the true path or not? In a Ḣadīth, The Prophet (saw) said, “Ask for guidance from your own conscience, for your conscience never lies to you.” You may have the support of all the people around you, even the so-called learned ones, but if your conscience says that you are wrong – then you are. And you may have everyone against you, even influential and powerful ones, but if your conscience says that you are right – then you are. So we must ask our inner selves – our conscience – before we perform any action or take any decision, throughout our entire lives. You cannot cheat your conscience! Finally, we must ask ourselves, who will guide us to reach and to remain on, the true path? As taught in many previous lessons, Mawlana reminded us to always be with true ones, the ṣādiqīn, for they are the ones who will constantly dispense such true advice. Those who are with the ṣādiqīn,, will be happy and successful, they will meet Allah, with glowing faces, for they would be amongst those who had understood this life’s journey. 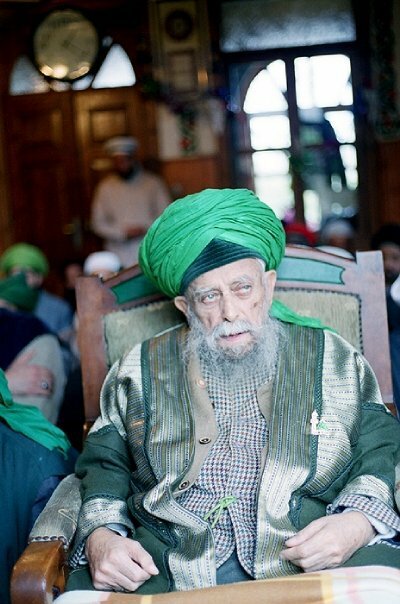 In his quiet, humble, calm and unassuming way, Mawlana had in fact summarized our entire worldly journey, for one who seeks to do it in safety. How do we attain safety? Keep on the straight path, the ṣirāṭal mustaqīm. And what is this straight path? It is the path of servanthood, make sure every action of yours, is that of a servant, just like Rasūlullāh (saw). Who shall lead/guide me on that path? The ṣādiqīn (true ones), be with them always. How do I keep from straying off that path? Always ask your conscience, it will guide you on every matter. Who will stand in my way, who will block my way along this path, whom should I be careful of? Your mortal enemy, Shayṭān; he will strive to take your feet off that path. Strike him with your Divine Sword, it never fails. What should I do, now that I have found my way? Preach to others, share this knowledge with them, so that they learn the answers to all these questions. These are truly life changing lessons, if only you understand.